Ship vessel fabricated in cold rolled steel. 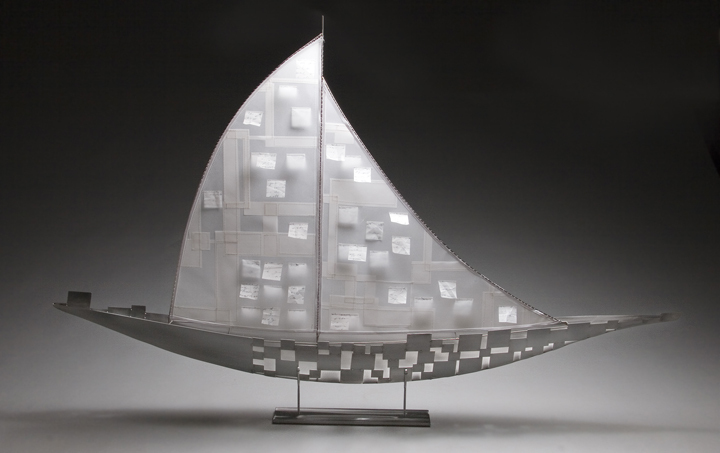 The sail is archival vellum paper that is sewn with nylon thread. It is laced to a wire armiture that sits in base.